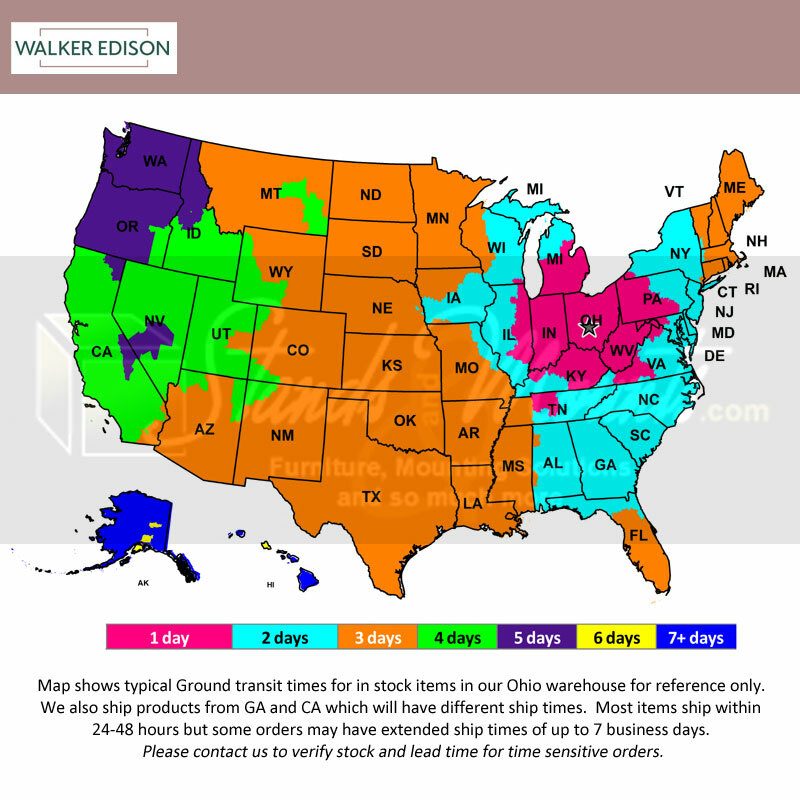 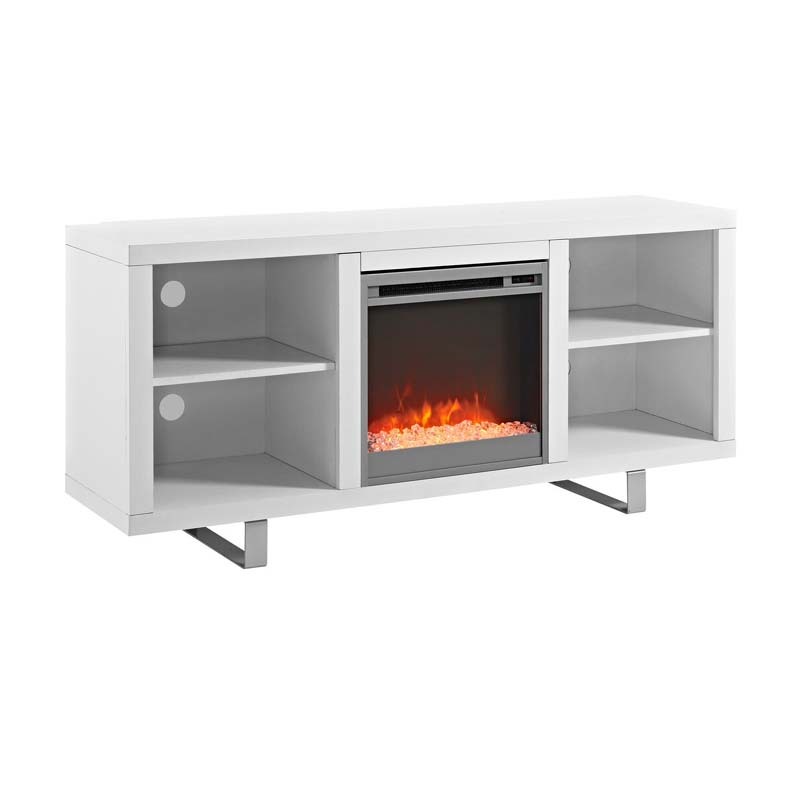 More on the Walker Edison Simple Modern Fireplace TV Stand (White) W58FP18SMWH below. 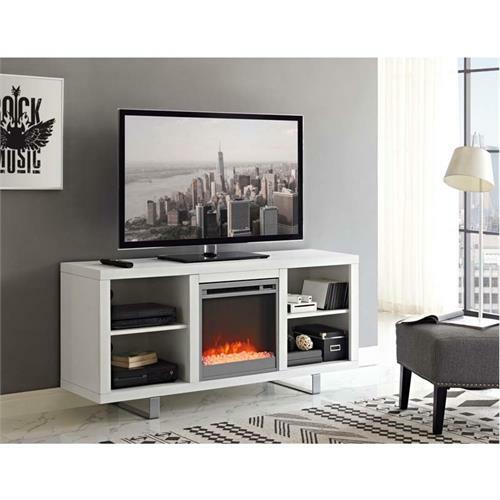 Complete your home décor with the simple, yet modern elegance of this 58 inch wide electric fireplace TV stand. Featuring spacious and adjustable shelving to display and store your media accessories and decorations, this stand offers the perfect blend of fashion and functionality. 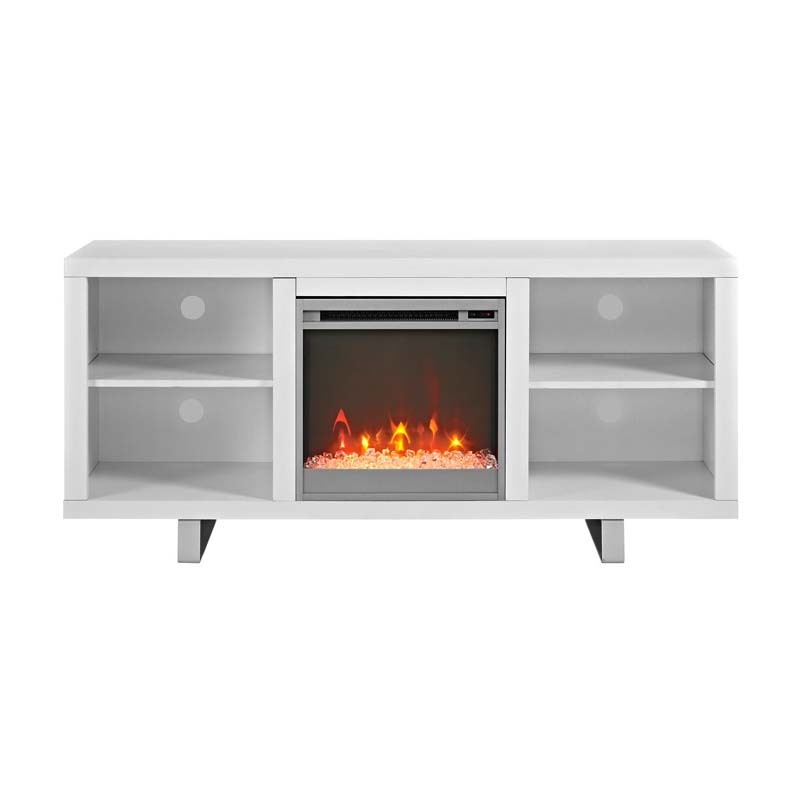 Sleek, metal legs and an attractive, crystal fireplace insert combine to create a contemporary presence in your living space. 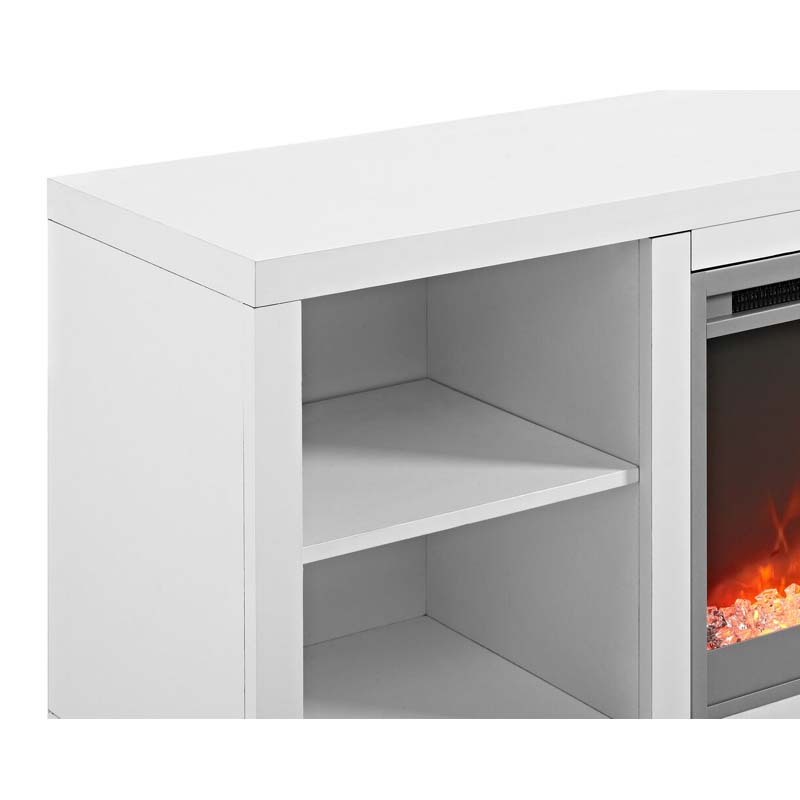 The electric, plug-in insert can be used to give off heat if needed, or simply add an aesthetic appeal to your living room with the flip of a switch.